Facebook’s executives gained the right to sell stock this week and three are now starting to cash out. SEC docs show COO Sheryl Sandberg is selling 352,904 shares to pull in $7,440,696.93. That’s just 1.91% of her current, massive personal stake and 1.74% if you include her trusts. General Counsel Ted Ullyot is selling a little too. However, Chief Accounting Officer David Spillane is selling over 61%. That’s 256,000 shares out of the 416,000 he was just awarded, which could worry Wall Street. 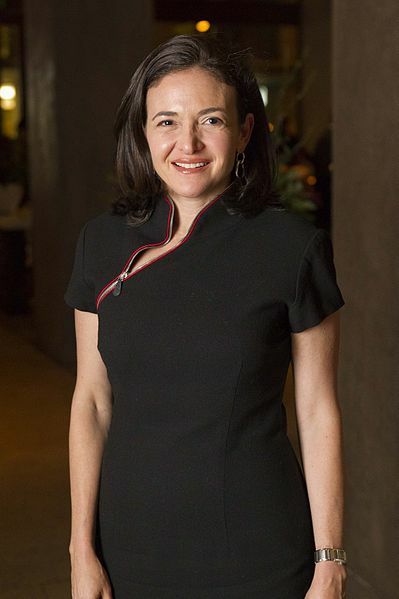 COO Sheryl Sandberg is vesting more RSUs, converting Class B to Class A shares, and is selling a small portion of her stake, though more actual shares than the others. She’s selling 352,904 shares, 1.91% of the 18.9 million she received last week after taxes. Specifically her trust is selling 13,392 shares at $20.79 and she’s personally selling 339,512 shares at $21.10 to pull in a total of $7,440,696.93. If you add in her trusts, Sheryl’s total current stake is 20.2 million shares, making this sale 1.74% of her total. If you count her unvested stock she could earn in the future, the percentage she’s announced she’ll sell is less than 1% of her eventual stake. General Counsel Ted Ullyot is also vesting more RSUs and converting class B to class A shares, and he is selling 149,075 shares of the 1.4 million he got last week. Specifically he’s selling 142,375 shares at $20.10 and 6,700 shares at $21.14 to bring in a total of $3,003,375.50. VP of Engineering Mike Schroepfer is not selling any shares. He filed a Form 4 just to let the SEC know he’s vesting and settling RSUs, and converting B to A shares. Chief Account Officer David Spillane is selling 256,000 shares at $21.04 to rake in $5,386240. That’s 61.53% of the 416,000 shares he received last week after taxes. Spillane still has more shares left to vest, so the percentage of his total stake announced for sale today will decrease with time. If all his 974,335 shares vest, today’s sale would amount to 26.3% of his total stake. Still a sizable portion. The fact that Sheryl is selling such a tiny percent of her Facebook holdings shouldn’t alarm investors. If anything, it should bolster their confidence that such a lauded business woman believes in the future of the social network. It’s still a fair amount of raw shares compared to the other execs. On the other hand, Spillane’s sizable dump could be cause for concern. His position close to Facebook’s internal financials could spook some investors into thinking there’s trouble ahead. Then again, Spillane might just have some personal reason for needing to sell now. That could be family debts or upgrading his lifestyle after liveing somewhat thriftily for an executive of his status. Facebook is likely trying hard to convince executives and lower-level employees not to sell too much stock, or at least do it gradually. A sudden flood of stock on the market could cause the share price to plummet. Facebook has been working hard to foster hope in its business plan by revealing several big potential money makers over the last quarter. All that work could be undone, though, if execs or legions of teammates liquidate their stakes in the company and Wall Street takes it as a bad omen.